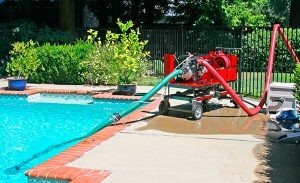 The Pump-Runner™ can be swiftly deployed within 15 minutes to supply water from non-traditional fire-fighting sources. It can be transported by any vehicle type with a 2” standard class 2, 3 or 4 trailer hitch. Stored in a garage or shed and deployed by simply pulling it along any firm surface, it has self-contained power allowing the operator to depart the scene while leaving the system up and operational. 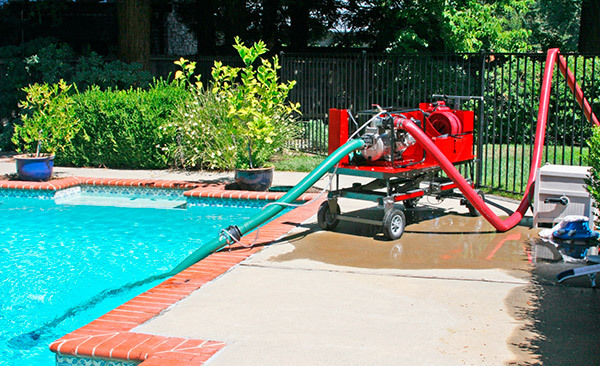 The multi-tasking design of the Pump-Runner™ allows the same unit to serve both fire-fighting/defensible space needs and emergency (or planned) de-watering of flooded space. Give us a call with all your questions about your specific water management needs: (888) 427-3728. Or send us a message and we’ll get back to you within one business day.